I have seen some clues that lead me to believe the direction this amazing game is going. I do not know all the proper nomenclatures of the in-game features so please bear with me. Also I have never created a post like this so I hope the format is ok, but here we go: In the game ending cinematic, our Astroneer pulls out his computer and it shows the solar system: Noticed detail that the planet count and placement is wrong. (generic icon or missed detail by SES?) You can also see the cosmic elevation satellite in the above image as the little white dot to the right of the solar system. It then zooms out and reveals a map of five solar systems. Two are previously explored, one (the one we are in) recently explored and two yet to be explored. Note the system icons are pentagon shaped and the cosmic elevation satellite is also pentagon shaped. Revealing that there are five cosmic elevation satellites. This also suggests that our handy computer is capable of doing more than just research. Leaving it open for future content updates, i.e. cartography and creative mode. On the cosmic elevation we have five platforms on the outer circumference. One is used to teleport to any planet of our current solar system. The other four are unused. Note all the pentagon shapes. Suggesting the icon shape on the computer. Now my theory is that this cosmic elevation satellite will be used to have odd stones on all five platforms. To teleport to any planet in any of these five solar systems. Leaving us with a great future of many content updates to come. I can also speculate that these wondrous purple structures are constructed of Astronium and Exo Dynamics the big manufacturing company that it is, does not know how to use this resource. This is why we can only research it and not build things out if it. Leaving them on a great expedition to find, study and mine Astronium. To learn how to make bigger and better products. Maybe the 5th solar system will unveil the Alien civilization itself! Hello! My poor rover got stuck inside the terrain near the very center of the planet of Sylva, in the gateway engine. It's stuck at the end of one of those purple pesudopods that don't quite reach the spherical center. I was driving the rover around in an attempt to get it inside the sphere, and it stopped underneath the pesudopod "upside-down", that is, when standing on the sphere it was also lying on the sphere underneath the pseudopod with its bottom facing it. When I tried to flip the rover by pressing "F", the rover kind of bounced upwards but didn't flip. I tried to flip it several times, and that's how it got stuck. It seemed kind of pulled between the gravity "fields", being tugged both towards the sphere and the purple pseudopod, and eventually ending up wedged in the pseudopod itself. I tried to see if there were ways to get it unstuck. I took pieces off of the rover (including the seat), put them on in different places, turned the drill on, saved and quit the game, etc. The rover did wiggle a bit when I got on or off, or when I used the drill, but apparently not enough to get it un-stuck. RIP Rovey the Rover! Thanks! This post has potential spoilers! [1.0.8.0] Astroneer Windows 10 edition: I can’t unlock the atrox suit or color pallet. I have activated a surface node, the core, and a part of the purple platform near the sun. Still no suit. As you can see in the pictures I have included, I have the Terran suit, and I have unlocked a suit before. It was an awful lot of work trying to unlock this suit just for it to not work. Please help or fix soon. Playing with my bro on PC via steam, he activated the core while in my game, and I got the achievement, but he was the only one to get his suit unlocked. As I recently have watched more streams than playing. It seems that a lot of players have problems with how to research. With patch 125 some research items may have disappeared and have been replaced with new ones and couple of more. Pre 125 it was 19 different items, now it is 23. If I’m not missing something? I haven't jumped on for a week or so, but I thought I'd dump the Tech Progression Tree I've been working on, as well as all the stuff I've been writing down since I started playing Astroneer in early Dec. I'll start by adding this image of the Tech Tree... As you can see, there is an addition of a Space Station (many requests for this), the three starting items, and a somewhat crazy depiction of which research and resources unlock which progressive items. Still a work in progress, and I'm still adding a lot more things. Next is ... 5 pages of suggestions for UI, Mechanics, Items, Progression and Narrative. I left out Bugs, because it looks like everyone has been doing a great job discovering them so far, I'd have very little to add. Here we gooooo... UI Improvements Launch/save platform. I would love it if each Astroneer was its own save. Currently that would limit to 4 saves, but I think that’s a good round number. This also has the nice effect of having each different suit represent a different game. Also, there is no need for the “Left/Launch/Right” button group. Just left/right to select a Pod, show the last save time, and hit a button to launch/load the save game. Also, of course as many have mentioned, the ability to delete saves. Snap the backpack to one side or the other. Having it wave back and forth when you’re trying to move items around is a huge nuisance. Snap to the left side of the screen, then if you move to the left, snap it over to the right side. Moving back to the right snaps it to the left side again. Allow opening the backpack, and use of the Select tool (not the terrain deformer) from inside a Habitat pod. This allows you to move, power and process goods around your base during a storm, rather than it being “dead time”. Mechanics The terrain tool’s “Level” function should be changed to a Ramp, in which you can click once to begin a ramp, then again for the destination. The tool creates a ramp from one point to another, just barely wide enough for a Rover or Truck. Then also add a “Smooth” tool, which very simply smooths terrain, possibly also flattening into the plane perpendicular to gravity. Weights of vehicles should be greatly increased (or maybe, the gravity of some planets should be greatly increased). Solar energy collection should be fully affected by shadows (Clouds, Planets, players, everything), and should probably be a lot slower, in order to make fossil fuel Generators more competitive. Deconstruction. Either by a module building, or just as a click, the deconstruction of crafted items, I believe, is imperative in this game as the game advances and you revisit bases with new technology. You should be able to get a few of the original materials back, and makes sense as you progress to bigger and/or better items in the game. ‘Planting’ objects. It’s not an easy thing you try to dig a hole and try to fill it in with an object sticking out, to try planting it back in the ground. Would be great to see some kind of quick mechanic that allows you to just partially bury an object. Could also combine with Decorative objects (see below). When I first encountered a storm, saw the voxels whipping through the air, and the Tether lines bouncing about, I surely expected the storm to destroy my stuff. Not so. Why not? I’d love to see storms knock out Tether posts, damage/destroy items in my base, and/or make things unusable until I fix them. This would put a whole new danger into cave diving with only Tethers as your lifeline. 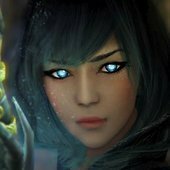 Burying Tethers, putting a premium on Filters and building/protecting Vehicles would become a bigger part of the narrative. New Items Escape Pod: This is basically the exact same thing as the original Habitat, and replaces the old Habitat completely. It can be set down and turned into a new base, or launched into orbit. It’s the first item you can construct (through scavenging, then later with maybe a Printer or Vehicle Bay) that allows you to leave the planet. It has only 2 charges of fuel, and initially only has a range large enough to fly between Terran and Barren. When you get inside the Pod, a Launch button and a Base button appear. Once launched, you can land, and the Pod’s fuel is spent. You can then click the Base button to create a new base. Early in the game, it’s there to allow you to fly to Barren and create your first off-world base. Later in the game it can be used to either make quick trips to your Space Station, or easily establish new bases. The 2 charges of fuel are built into the construction of the Pod, and cannot be recharged. Once it sets down, it can only be used to build a base. Pegmatite: A resource that must be refined in a smelter to get Boron and Uranium. Habitat: The new ‘Habitat’, is actually an expansion of an Escape Pod (the original Habitat), which allows for an indoor space for all 4 Astroneers, several large storage points, customization, and advancement of certain research. Would be a nice progression of the game, and also a better definition of the word Habitat. Smog: The idea of choosing dirty or clean fuel (See Progression below) can be made difficult by having Fossil fuel generators produce power much faster, but at the cost of harmful smog if ran too long. Smog itself damages players, and makes them walk slower. It slowly clears out over time when a Generator (Small or large) is not in use. Space Station: After gathering crashed parts from several of the starting planets, you can cobble them together and launch a Spaceship loaded with the specialized parts. Once in orbit, you can convert your ship into a Space Station. It comes complete with: 2 Huge connection points (ie: 8 Large connection points or 16 Small) One free Escape Pod A vehicle bay to land & store ships New research options -- but research pods must be brought up from planets. The benefits of the Space Station are: It’s the only location with 100% constant solar energy It has the largest travel range in the solar system It can travel between planets for free It cannot land, and is a permanent fixture in the game - you only build one. A good place to set up a solar battery charging array, resource storage, or a greenhouse grow/compress manufacturing platform that easily moves between planets. Monorail/Mag-Lev Carts: Many people have suggested some kind of rail system. I like the idea that you can place a rail system like the mechanics of the Tethers, and you can craft & place train cars on the rail. 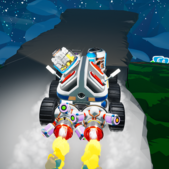 By crafting and adding seats and storage, you can link them together the way Rovers work now, and scoot around caves mining and gethering for a more on-rails approach to mining. Similar to @Eyce’s idea, add a platform module that is like a train station, which serves as a starting point for the rail, as well as feeds power into the system. Much of the existing Tether mechanics could be used for this. Nuclear Reactor: Using uranium, which can be refined from pegmatite (or boron), this Platform (not simply a large object) generates immense energy over prolonged periods, but if the entire uranium object is consumed within a certain time limit, also creates “smog” like a coal generator … basically radiation. Getting too close within a certain time period will kill you. Shield Wall: This is really just a flat standing object that snaps into a platform base and can be rotated in 120 degree increments. It’s just designed to help shelter your base from storm hazards - but can sometimes reduce wind power and solar generation from low-mounted vanes and panel. Helpful on Arid and Radiated. Hydraulic Press: A Platform that requires a lot of energy, but can press several stacks of Organic into Coal, and Coal into other crystals used for crafting. Could be used for other purposes, too -- like compressing multiple resources into an easier-to-transport block. It’s possible the Smelter’s function could be expanded into this. Greenhouse: A platform building that allows you to feed certain resources into it (Boron?) and grow more Organic. The idea, mechanically, goes back to finite resources. Ideally, plants would grow too slow in the wild to harvest repeatedly. But getting a Greenhouse will allow you to sink some resources into it in order to grow more Organic to feed some power generators. Thermal Generator: We’ve already see the ‘steam vents’ around the game, and the existence of a “Geothermal” in documents suggests this idea already, but it fits into a progression idea where underground mining operations may need some additional help. A slow-filling energy source would be perfect to set up shop underground where the mining is good. Though it seems thermal vents are rare, this seems like a good slow alternative to filling up your cavern with smog using a Coal Generator. “Scrap”: The idea that all those little bits of spaceships and satellites strewn across planets can be collected and put to use. When snapped together in a specific configuration, they might convert into an Escape Pod or a Rover. Decorative Items: I feel like the bottoms of ‘Research’ plants should also have connection points, in order to use them as decorations around your base. Free connections are usually in tight supply, but being able to drop some cool trees or funky objects around your base would be really cool. Also ties into making objects ‘plantable’. Landing Pad: A specific platform conversion that is dedicated for space landings. There is a design challenge currently in the game where if a player lands their spacecraft at a base with a vehicle already in the designated Vehicle Bay (I believe it’s always the first VB built? ), then the spacecraft either shoves the vehicle through the terrain, or they clip into each other. This is a conundrum for players who explore by land, then build and use a spacecraft to return to another base, or if a player blasts off from a secondary VB and returns to the primary, or when playing with other players. I think the building of additional Landing Pads makes sense, for very cheap, and when all landing spots are taken, the landing craft should just blow the existing craft off the pad. Base platforms: There are times when building another base seems clunky, especially from a spacecraft landing at a new site. Currently a little blank platform is created. I think this should really just be an object that can be placed, and essentially also includes a Landing Pad. That way, the Base platform can be carried around, stuck on a vehicle, and driven over to a new interesting area, then put down and activated to create a new landing site and begin expanding a new base. That way, the Escape Pod can be separated as specifically a travel device. Otherwise, I’d like to see the Escape Pod convert into a more dedicated “Base-like” structure when activated. Aesthetics Change the name of Terran or Barren -- Having the first two planets’ names sound so similar can be confusing, especially in multiplayer voice chat. Change the name of Radiated to “Toxic” … Feels more in line with the other planets, 4 of which represent their current condition (Barren, Tundra, Arid, Exotic) rather than a possibly past-tense word … also all other planets are 2- or 3-syllable words, which is more appealing. Change the name of “Unknown” to Artifact or something similar. Possibly multiple names … Unknown, Artifact, Specimen, Gizmo, etc. The difference between planets should be a little more extreme. This could have multiple benefits. Aesthetically, it might make more impact thru gameplay and visuals, but also will present very real new challenges depending on the planet you’re on. 100% cloud cover on Tundra? Better get your wind farm up and running. Low sunlight, and no wind on Exotic? Gather up that Uranium and fire up the power plant. Constant storms on Radiated? Put up your shield walls, and build a vehicle right away to protect yourself. Limiting certain “Unknown” object styles to certain planets is thematic, but I also think they should relate directly to the available Schematic available from it. Light Grey squarish Artifacts will always drop one of 3 schematics (or one of 3 certain resources), and is only found on 2 planets, etc. That way it’s a little more predictable what you’re getting, and adds to the progressive theme/palette. A few more types of storms, than just the Wind/hazard storm. I'm not sure what kinds if interesting hazards rain, snow, hail or acid rain could produce beyond making it harder to drive or run, but I can also imagine that on different planets would rain/snow many different kinds of elements or compounds than just water. Progression There is currently a glut of powerful items available very early in the game. Though this may be on purpose, so that Alpha users can accelerate through the game, it should be said that items that allow for more freedom of movement and unlimited supplies (Tethers, Solar Panels, Wind Vanes, Vehicles, Batteries) should be more difficult to get, and probably held back until the middle or late stages of the game. Start the game with only a few items that allow you to barely survive, research new items, and slowly grow your base through risky mining. Each new base and planet should present a new challenge, and the items found and researched on that planet will help with survivability there, as well as the next logical planet -- Such as, Solar Panels not being available to research until Arid, which is an abundantly sunny planet. Also available on Arid would be the schematics and parts available to progress to the Space Station. The game should revolve around the progression of more interesting and powerful resources to create more power output and exploration. You start with just the power in your backpack. Then there are two paths to take, one to renewable, unreliable clean energy, and one for more sustained, higher-output dirty energy. Not mutually exclusive, though. The player can research both. Clean path: Power Cells -> Wind Vane -> Solar Cell -> Wind Turbine -> Solar Array -> Thermal Generator This path relies heavily on Batteries to harness and store energy for later use, especially underground, where only the Thermal will have use. Will use a lot of resources, especially high value, to craft objects and batteries. Fossil path: Power Cells -> Organic Generator -> Coal Generator -> Nuclear Reactor This path is usually easily powered, but from only limited resources - the benefit is they provide sustained energy, have less reliability on batteries, and work underground - but after prolonged use will create harmful clouds of smog. While some high-value resources are needed to craft these generators, Organic, Coal and Uranium will be consumed steadily to produce power. Scavenging could take on a much larger role. In order to escape Terran at the beginning of the game could require the scavenging of Scrap parts to construct a makeshift Escape Pod, as well as later in the game to complete construction of a Space Station. Narrative I have to assume that the overall mechanics will remain as such: Drop-in Multiplayer Limited to a solar system of a handful of planets Focus on exploration, construction and exploitation of planets Given those things, I start having a sense that this is a discovery mission of a small group of astronauts to a new solar system. As if our brave spacefarers have come a long way to a new system, on an advanced mission to find out if this star can sustain life for a colony. Are any of these planets safe enough? What system have these spacefarers come from, and why did they make this long trip? Has something gone wrong? 4 Astronauts travelling through the galaxy at high speed encounter some problem, careen way off course and find themselves marooned in an unknown solar system. They must land on the planets to explore them, gathering their resources and establish up bases to eventually build a new generation ship so they can return home -- or at least try. But, it looks like they weren’t the first species to crash land here. Nor the first craft of any kind, for that matter. 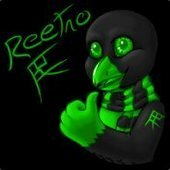 Hi, I love this game played it trough, and started a new session with lessons learned. Think I found everything, zebra ball, dynamite, telescope with mini game, dynamite, used the large solar panel, astronium and the different organic cube. Not knowing what to find on a new planet, I tried to setup an ultimate packing list: Spaceship with large storage rack: - One seat or more correctly capsule - Habitat with small solar panel and generator Fill with small racks with: Resin 12x Makes 3 stations and 3 junction points (for solar, wind and battery) Compound 8x Large solar panel or two (6 is spare for rover and seat) Aluminum 6x Trading station, wind turbine (2 is spare, vehicle bay) Copper 4x Printer and Fuel condenser Lithium 2x Large battery Backpack: Wind generator Fill batteries Solar panel Fill batteries Oxygen tank 2x No need for tethers above ground Battery 2x Easier to dig with two batteries Compound 1x In crafting position Resin 3x Will make vehicle bay Generator If plants are available and give energy Trading station is now adjusted but will still gives you any resources you may need on a different planet. It’s wise to make seat on printer instead of vehicle bay. The one made on printer is movable. This is open for debate, comments and arguments are appreciated. I found something new while digging around on Barren. Thought I would share it A video of my discovery is up on our YouTube Channel Channel: Apo and Bean Gaming Video: What is this! ?